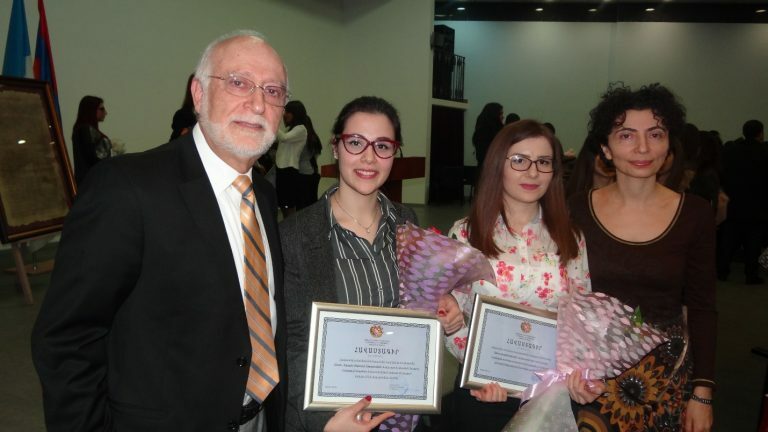 YEREVAN, Armenia – The American University of Armenia (AUA) is proud to share that Sarah Ghazarian, a second year student in the Master of Public Health (MPH) program, has been awarded the first place in a nationwide competition for “Best Student” among health professionals (masters level) in 2017 by the Republic of Armenia (RA) Ministry of Education and Science (MOES). 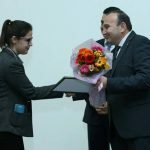 Minister Levon Mkrtchyan presented the awards to the recipients during the award ceremony that took place at Yerevan State Medical University. Sarah Ghazarian is one of the top performing graduate students in her cohort; she is an exceptionally committed student to her education in the Master of Public Health (MPH) Program. She received the MOES Award for the Best Student, as she is not only one of the top academic performers of her cohort, but has tremendous potential to be an extremely successful professional with high standards of ethical conduct. She has been working in health related projects throughout her studies for bachelor and master degrees, she participated in multiple scientific workshops to deepen her professional knowledge and skills, coordinated the Science Club for students to discuss new journal articles and organize seminars, and she has helped the teaching process serving as a teaching assistant. What is more, she served in Syrian/Palestinian Refugee Camps as a volunteer to promote their health and provided emergency medical service as a volunteer in Lebanese Red Cross. 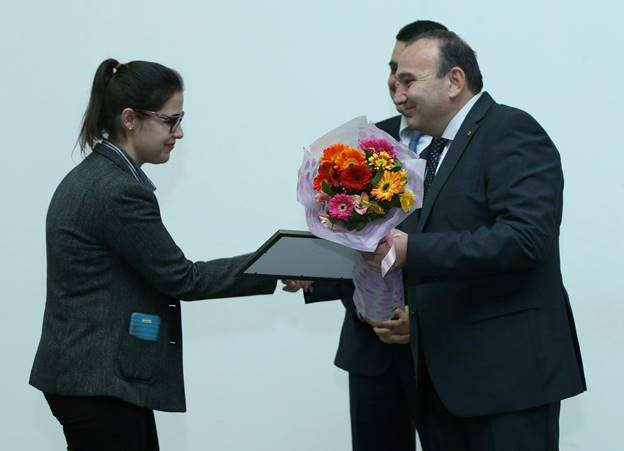 During her time at AUA she has received merit-based scholarships. 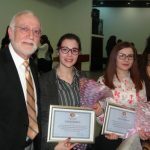 Since 2012, the RA Ministry of Education and Science has organized a nationwide annual competition for “Best Student” to promote educational excellence and support top students in their professional development. The selection committee looks at nominated students’ academic performance, commitment to community service, professional achievements, and scientific work. The awarded students receive a monetary prize.